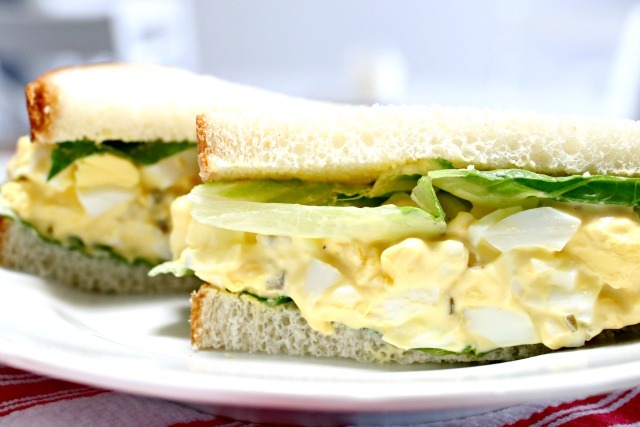 If you are looking for an easy egg salad recipe, then you have come to the right place. 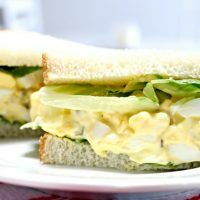 This 4 ingredient egg salad is so good, and is perfect for picnics, poolside lunches and fancy tea sandwiches. It’s a great salad to make if you have boiled eggs left over from Easter, and even if you don’t…it literally only takes a few minutes to make! This post may contains affiliate links, which means if you make a purchase using one of my links, I will receive a small commission. Start with 8-10 chopped hard boiled eggs. I like to cook a large batch of Hard Boiled Eggs in the Instant Pot as seen HERE or you can boil them on the stove. 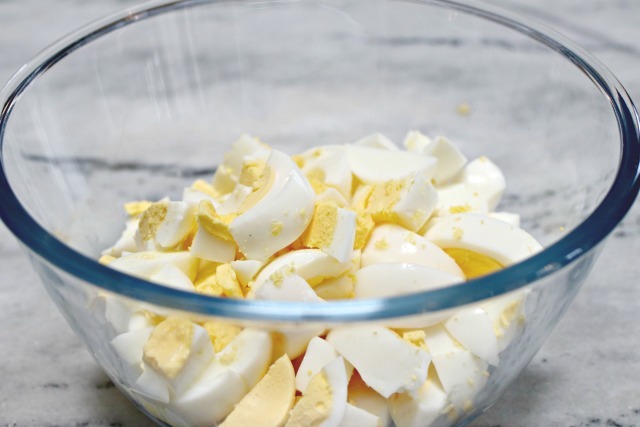 HERE is a quick trick for Boiling and Peeling Eggs if you don’t own an Instant Pot. Add the eggs, 1/4 cup of mayonnaise and 1 teaspoon of mustard to a bowl and mix together well, making sure to mash the yolks of the eggs a bit. If you don’t like mustard, you can absolutely leave it out…I don’t think you will really notice it though, it just adds a little bit of zing to the egg salad. Next, mix in 2 tablespoons of sweet pickle relish, and salt and pepper to taste. If you prefer dill pickle relish, you can use that instead. If you don’t have any pickle relish, just dice up a few of your favorite pickles and add them…easy, peasy! 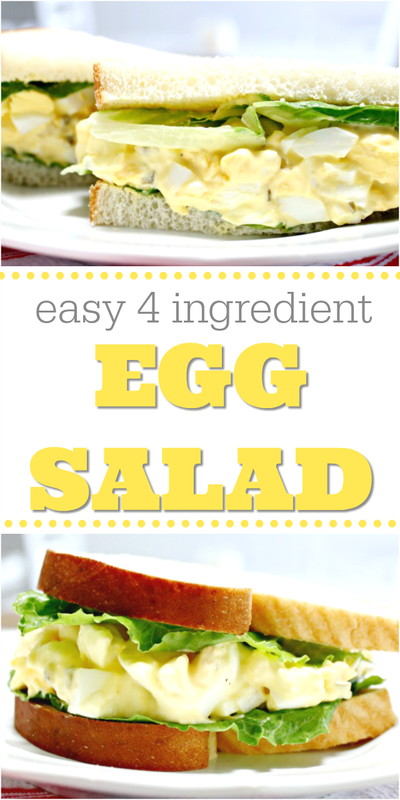 You can serve your egg salad on your favorite bread, croissants, crackers or on lettuce! Be sure to refrigerate any left overs! 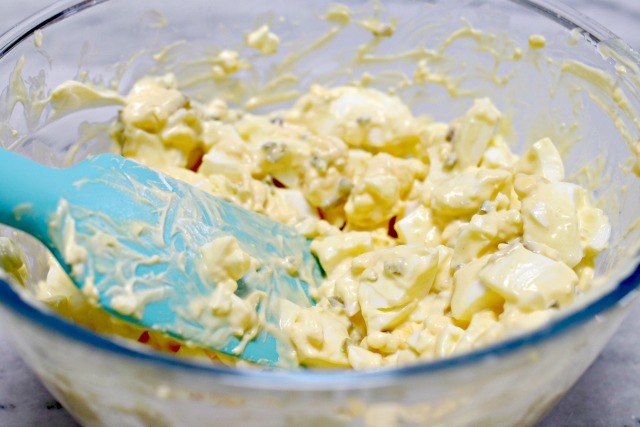 Mix eggs with mayonnaise and mustard, making sure to mash the yolks of the egg while stirring. Add the sweet pickle relish as well as salt and pepper to taste, and stir again. Serve on bread or croissants with lettuce for a nice sandwich or serve on a bed of lettuce if you are avoiding carbs. Also great on crackers! Love this easy recipe? Check out more Egg Recipes below! 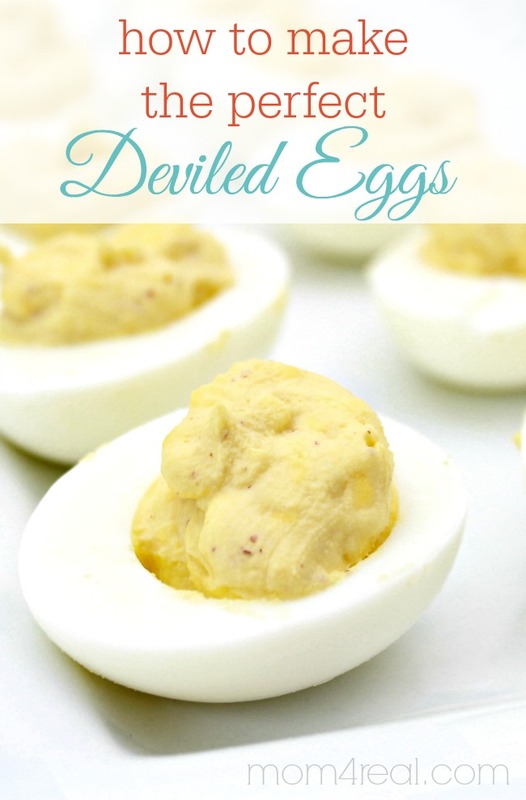 These Yummy Deviled Eggs are so easy to make and the perfect addition to any cookout, picnic or family meal. I get requests to bring them everywhere I go! 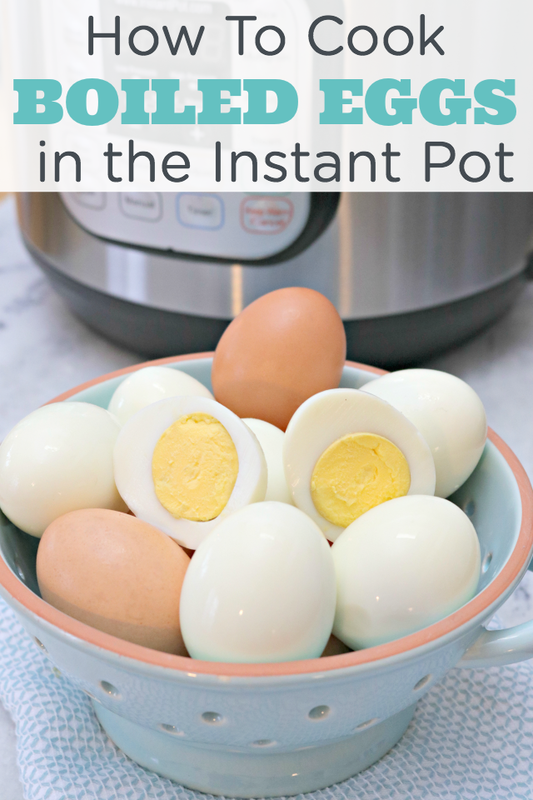 I love to Cook Hard Boiled Eggs in my Instant Pot. It’s so easy to do, you can hard boil a ton of eggs at one time, and they always come out perfect! Don’t have an Instant Pot? 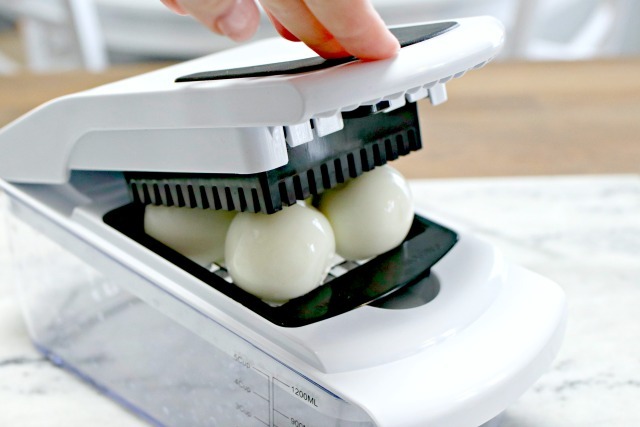 No worries…check out How to Cook Hard Boiled Eggs on the Stove and Peel Them in Seconds HERE! If you are interested in the Instant Pot, you can purchase one HERE! Got tons of boiled eggs left over after Easter? 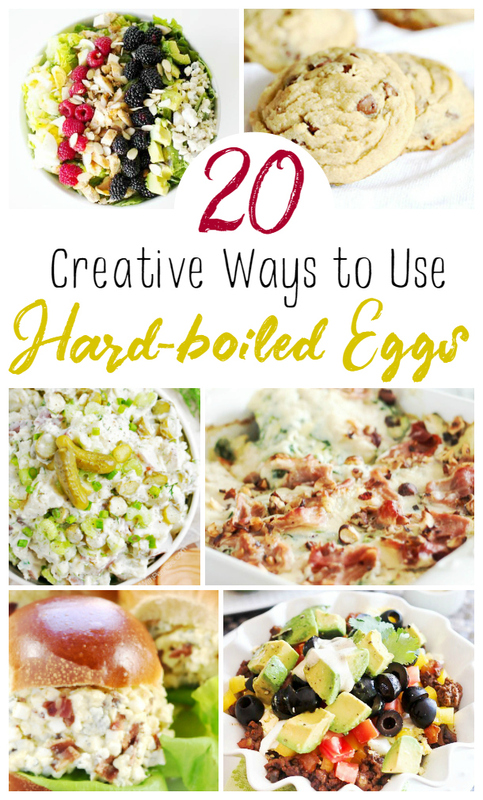 Check out these 20 Creative Ways to Use Hard Boiled Eggs instead of throwing them out! 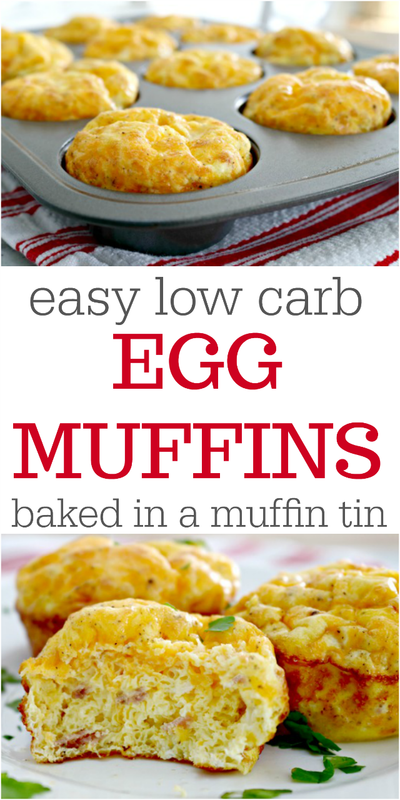 If you like eggs, but want something different than hard boiled eggs, you have to try my Easy Low Carb Egg Muffins! They are so easy to make in a muffin tin, and have quickly become a family favorite in our home! This is the way my mom used to make it for us. Simple & excellent!!! She always used chopped baby gherkins. I used sweet relish and am looking forward to trying dill pickles. This recipe is simple perfection!